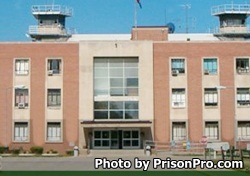 Indiana State Prison is located in Michigan City Indiana and houses over 2300 adult male offenders. Indiana State Prison is comprised of two facilities, a Maximum security institution that houses offenders convicted of violent crimes who are serving long sentences, and a minimum security facility once referred to as Lakeside Correctional Facility. The minimum security facility offers many support services to the maximum facility, including landscaping, food preparation and building maintenance. Because of the varying custody levels, inmates are housed in several different style units. Some offenders are housed in an open dormitory, and others in cells. This facility is also responsible for housing male death row inmates. This facility requests that you always call 219-874-7256 prior to your visit to ensure that visitation has not been canceled due to a lockdown or other emergency. Attorney visits are everyday from 8am-4pm. Registration for all visits begins 30 minutes prior to the start of visiting. General population inmates have visitation Monday through Friday 11am-5pm and visitation on Saturdays, Sundays and Holidays from 7am-3pm. Administrative Segregation inmates have visitation Monday through Friday from 7am-10:30am and visitation on Saturdays, Sundays and Holidays from 3:30pm-5:30pm. Administrative Non-Contact has visitation on Mondays-Fridays 8am-4pm. Disciplinary Segregation has visitation on Mondays-Fridays from 8am-1pm. D-East has visitation Monday through Friday from 7am-10:30am, and visits on weekends/Holidays from 3:30pm-5:30pm. ​X-Row has visitation everyday from 7am-3:30pm. Weekends and Holidays from 7:45am-9:45am and again at 11:45am-1:45pm. Tuesdays and Wednesdays from 6:45pm-8:45pm.